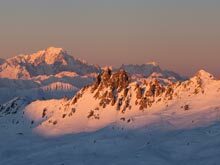 Hello everybody, time for another article direct from the French Alps, this week from the fabulous Espace Killy ski area. 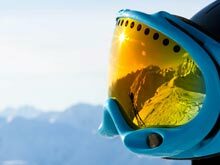 This post will be a bit of a curve ball compared to my normal ski instructor articles, but I hope you enjoy it all the same. 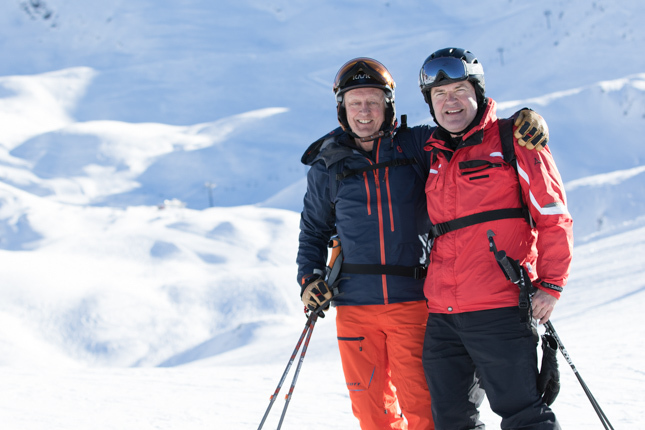 One of the many brilliant things about skiing is meeting people, and having a right old chat. As much as I've tried to introduce different skiers to you, sometimes their character is lost somehow, which is a real shame. Not any more Ladies and Gents. Let me explain. One of my favourite photographers I follow on social media is an American chap called Brandon Stanton. Brandon has run a project called 'Humans of New York' (see here for the link) for a few years, where he goes around the city every day and asks people for their photograph. However it doesn't end there, he also asks them for an interesting short story about their life, which accompanies the photo. To say you come across some fascinating characters, and often emotional stories, makes compelling reading. This got me thinking......... why don't I try a similar thing? 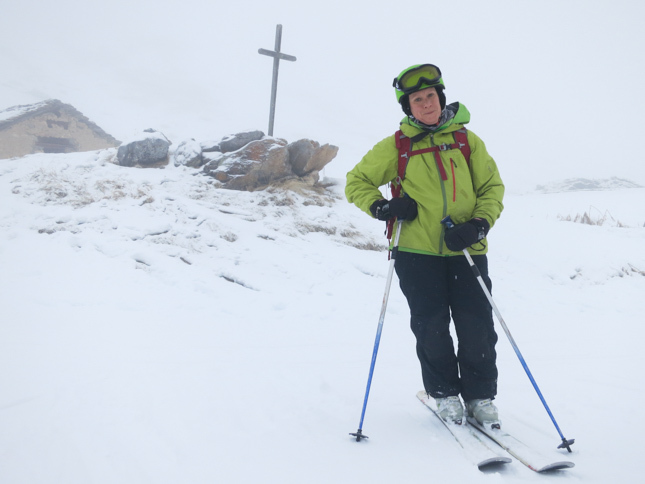 Let me introduce you to the new project called 'Humans of the Mountains'. The following people I have had the pleasure of skiing with the last couple of weeks. First up, here is Pamela. "I come from a family who were always very sporty, in fact my Father competed at the 1948 London Olympics in the hurdles event. 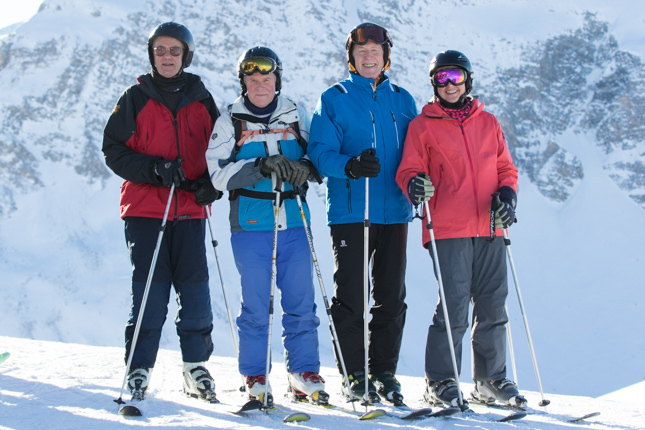 My first ever skiing holiday was with my family when I was 14 years old in the 1960s. I remember we all followed my Mother like little ducklings, it was splendid fun. We were in the Cairngorms, and it was gloriously sunny every day, so I thought that was what skiing was all about and didn't know any different. My next holiday was quite a shock, it rained every day. We all got frightfully wet. So the sunny weather we've had this week has been marvellous. I'm a Grandmother now, with another Grandchild on the way in March. Right, put that camera down Martin, let's go back to the chalet for some tea and cake shall we?" "I can't believe my luck today, having just bumped into someone I've followed religously over the last thirty years. Peter Hardy (on the left) has been my favourite skiing and travel journalist for decades. I've got a folder at home full of his articles from over the years. He writes for the Daily Telegraph and various magazines. You wouldn't believe how many ski resorts and mountain restaurants I have visited off the back of his articles, and they have all been so accurate. 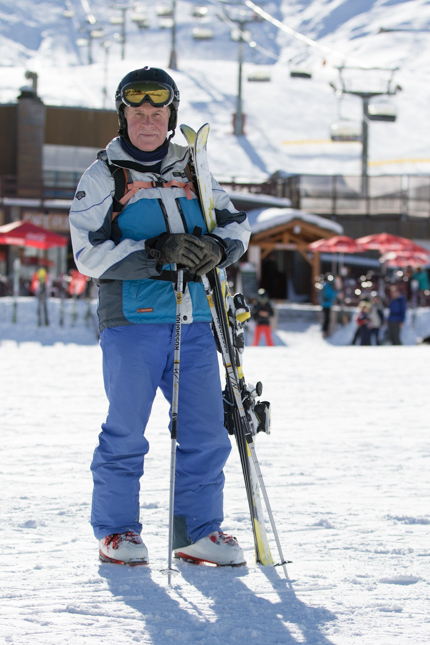 He is skiing's encyclopedia Martin. And then when he asked us if he could ski with us for a while!?! That was a real honour. I was shaking with excitement in my boots. 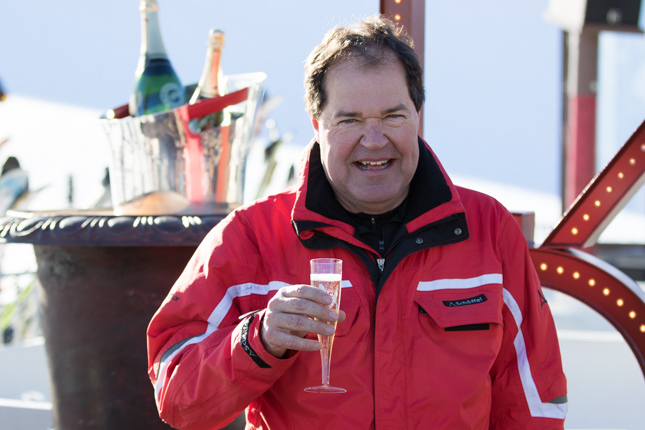 Martin, let's go to the Folie Douce for a glass of champagne and celebrate. Thanks for taking the photo of me and Peter together." "A few years ago my husband and I were on the Abel Tasman walk in New Zealand, where you stay in communal mountain huts overnight. We stayed in one such hut, and the bunk beds were wide enough for several mattresses to line up side by side. My husband was sleeping in a different bunk to me, and on my bunk there was somebody snoring so loud there was no chance of falling asleep. So I poked the person next to me hoping to distrub him, but the snoring continued. Then I kicked him, but still no luck. I was so desperate to sleep, so I had to change my tactics. I reached over and gently stroked his face and forehead. Moments later this guy sat upright, with a huge smile on his face as he looked across to me, but the snoring was still going strong (from somebody else) !?! I rolled over and wrapped myself tightly in my blanket. The very next morning I literally clung unto my husband during breakfast, and tried to avoid eye contact with this guy !?!" "A few years ago I sensed something was happening with my health, and the shakes became more consistent. Then fifteen months ago I was diagnosed with Parkinson's disease. I used to compete regularly on the .22 Target Rifle circuit, and was selected to represent the England Team. But my numbers detoriated, and I can't compete anymore at a high level. My doctors have now found the best medication for me, but the left side of my body is affected. My left arm and leg still shake though. I believe that the cold weather affects it more, although there is no medical proof. However when I get anxious on skis because the gradient gets steep, or the snow conditions are tough, my shakes are worse. One of the hardest things for me is trying to put my left hand through the strap of the ski pole. My Doctors aren't able to predict how many years I will be able to ski..... !?!" 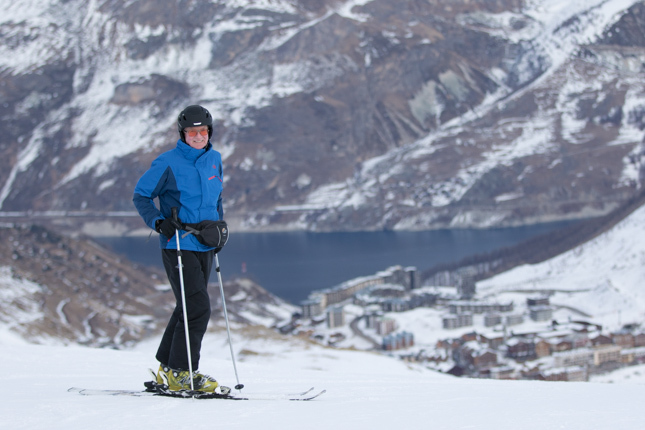 "With EasyJet charging the price of ski hire to carry skis, I decided to hire for the first time in years. When I got to the hire shop I thought it would be a good idea to try shorter skis for a change and I bent my knees when the guy came with a pair of 168 cm skis, so they came up to my nose. But what a mistake! Because I couldn't see the tips of my skis in the normal position I spent the first day skiing sitting back. I've never had such thigh burn! So I changed the skis at the end of the day to a pair of 176s. 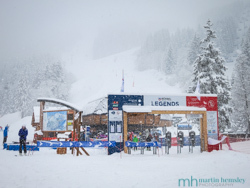 Next day I skied down the first run just fine. When I got to the bottom I announced to the group I was in "Wow, I never imagined what a difference 8 cm could make". They burst out laughing - I've no idea why." "After a false start at sking in my early twenties, I returned a few years ago. It wasn't what I would call an auspicious restart. In fact it was filled full of fear. After staring down a slope no-one could convince me that it was a good idea to push off and attempt to ski. 'Frozen' took on a whole new meaning. However, after patient ski instruction and encouragement, I progressed to 'feel the fear and do it anyway'. More patient instruction and encouragement now has seen my sking metamorphosis to one of confidence, and 'fear' has no place in my skiing vocabulary - 'caution' maybe; but 'fear' no. I am now a total ski enthusiast. I don't like it, I LOVE IT. I would encourage anyone to persevere, the end rewards are amazing." 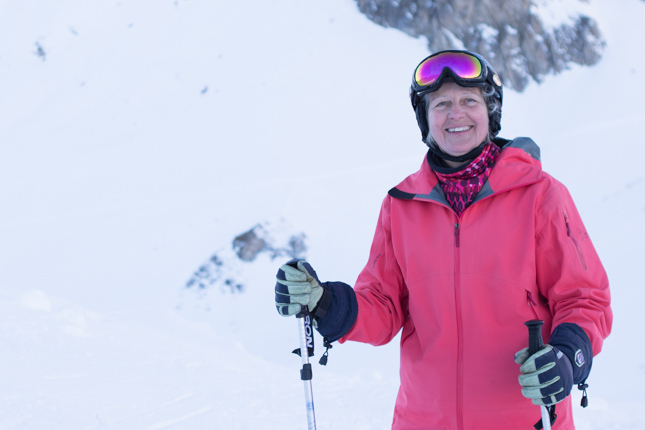 Skiing is such a great sport in many ways, especially when meeting wonderful people. My plan is to make this project a regular feature on this blog page, perhaps once a month during the winter. If you enjoyed this article, you might like to read another from earlier this year written during a quiet period of work, click here for the link. Feel free to share away on Facebook, Twitter and Google+ by using the social media icons. Or leave a comment below, it's always great to hear from people. Have a great week everyone, and keep having those ski dreams. Martin.